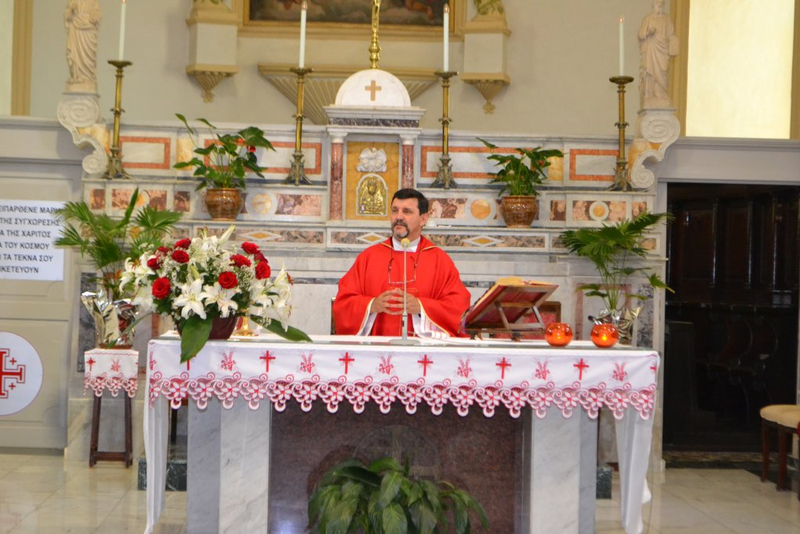 On June 23rd 2013, the day of Pentecos, our parish organized the second pilgrimage in the footsteps of Saint Paul, as a way to live more intensely the Year of Faith. 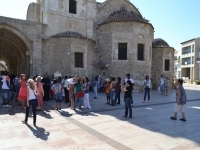 Two sites were visited, Tamassos and Larnaca. Tamassos, 21 km southwest of Nicosia, was in antiquity a city-kingdom whose fame and wealth rested upon its rich copper mines. Tamassos is even mentioned in the Odyssey by Homer. 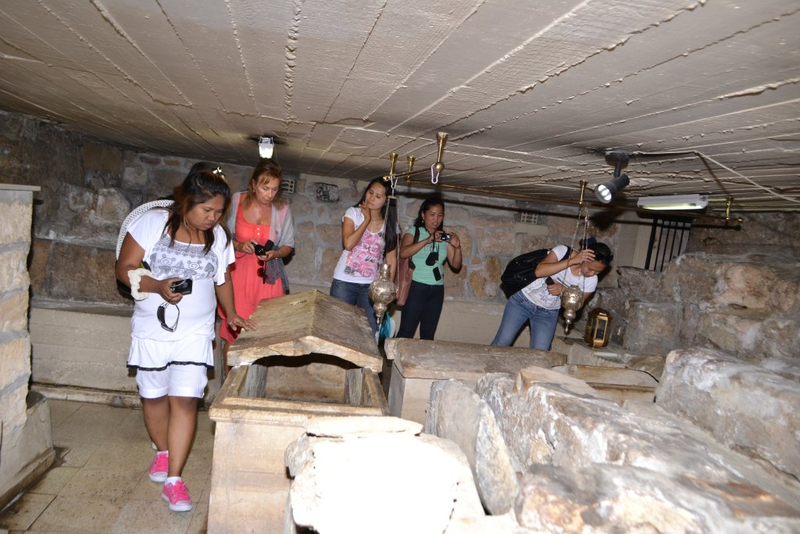 However the reason of our visit was to honour Saint Herakleidios, whose tomb is to be found there. Saint Herakleidios met Saint Paul, Saint Barnabas and Saint Marc during the first apostolic trip of Saint Paul, around the year 44- 45. 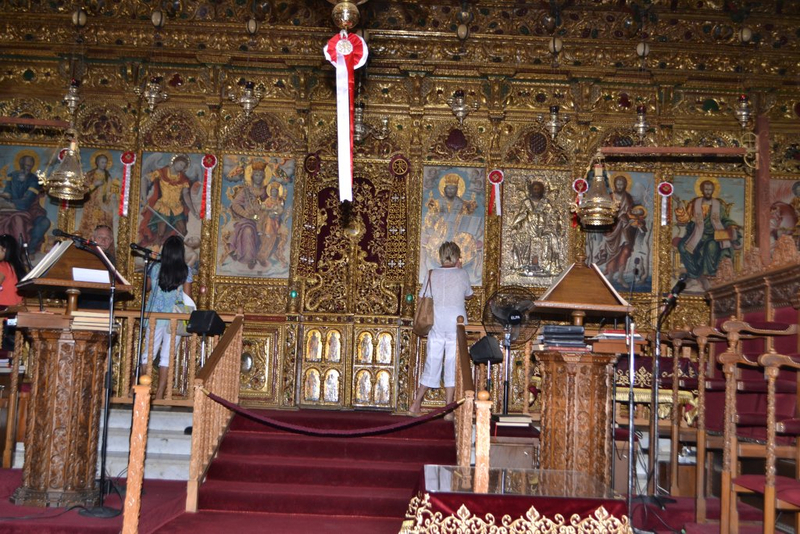 Having undertaken to guide them as far as Paphos, a journey of several days, he eventually accepted the Christian faith and was baptized in the waters of the river Setrachos of Marathasa, by the monastery of Saint John Lambadistes. 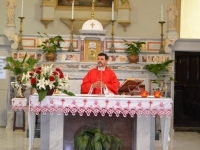 As first bishop of Tamassos Saint Herakleidios showed great zeal in converting the people of Cyprus to Christianity. 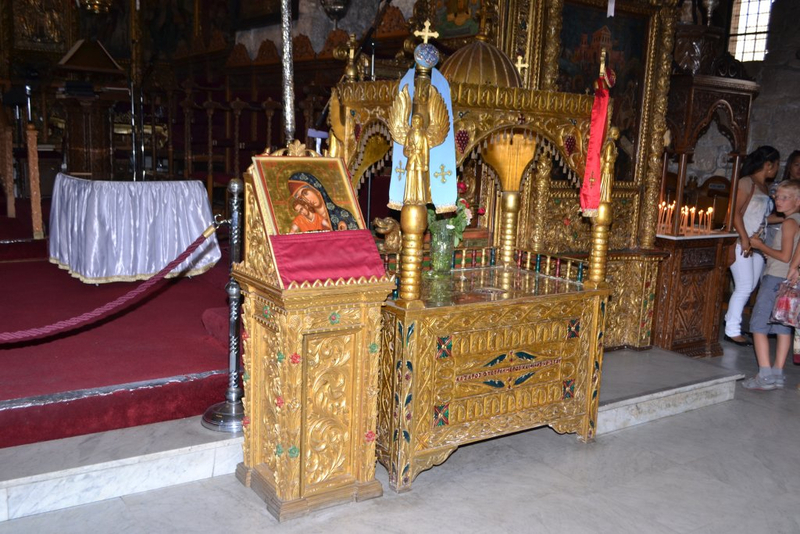 At an advanced age he was martyred by a pagan mob at the centre of the city of Tamassos. 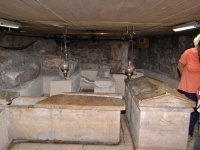 Around the year 400 the first church in his honour was built over the cave where he used to pray, and where is his tomb. His memory is celebrated on Sept. 17th. 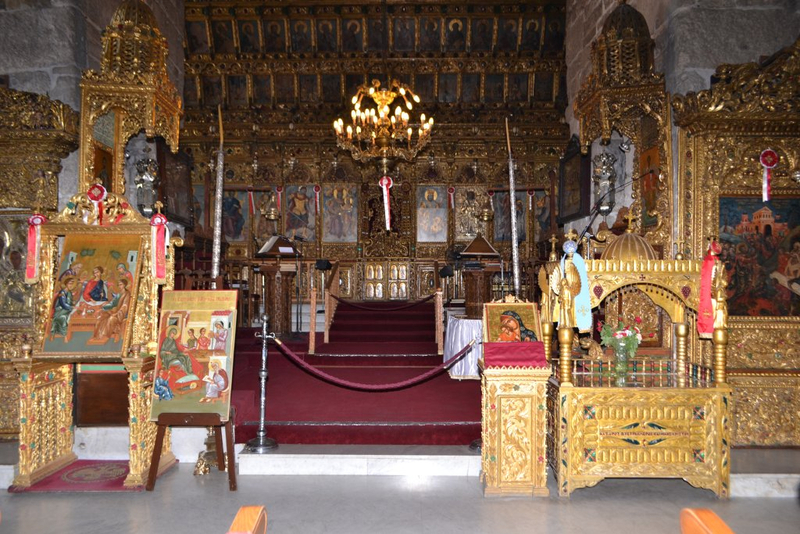 Larnaca known in the pre-Christian era as Kition was later renamed “Larnax” (in modern Greek “Larnaca”) because the tomb of Saint Lazarus is in that city. 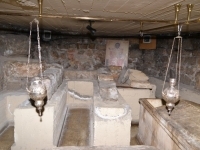 The tomb that is situated in the Roman cemetery contained the marble sarcophagus (in Greek also “larnaca”) of the saint. 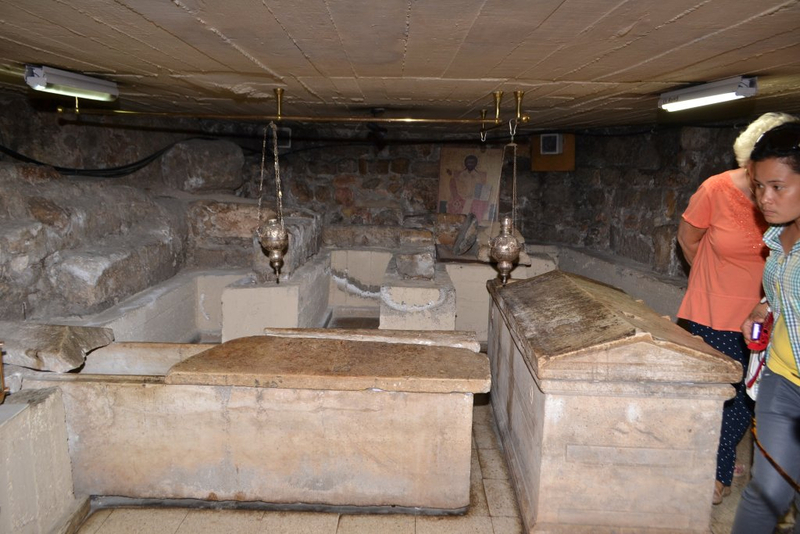 On it an inscription read as follows: “Lazarus, the four days (dead) and friend of Christ”. 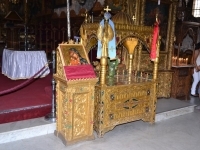 Near the end of the ninth century the Byzantine emperor Leo VI ordered the holy relics of the Saint to be brought to Constantinople, the capital of his empire. 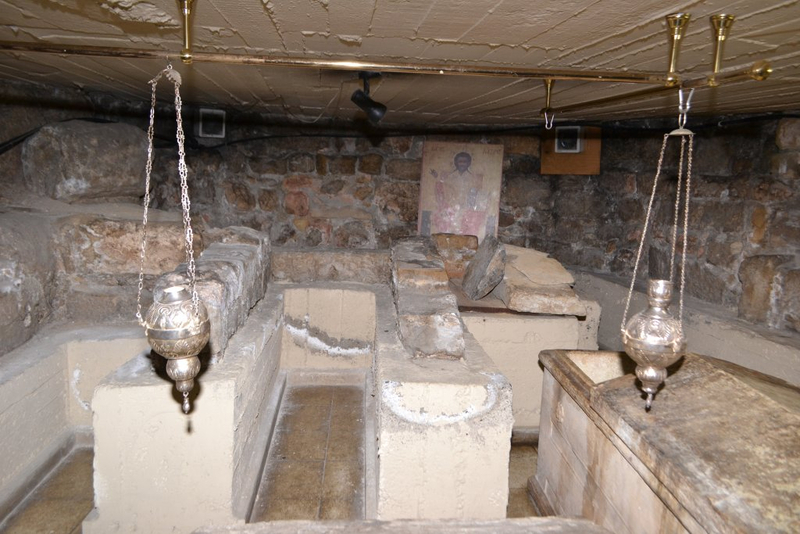 In exchange he funded the building of a church in honour of Saint Lazarus over the tomb. Recent excavations have shown the remnants of two older churches upon which the church that stands there nowadays is erected. In the 15th century a gothic style portico was added and in 1857 a gothic/neoclassical steeple. 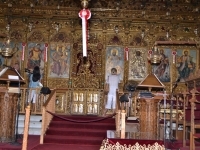 The Turks in 1589 sold it to the Greek Orthodox community; nevertheless, it continued to be used as a catholic church as well, until the end of the 18th century. 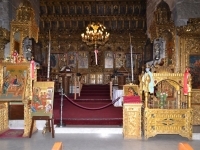 The iconostasis of the church dates from the end of the 18th century and is in baroque style. It was partially destroyed by fire in 1972. 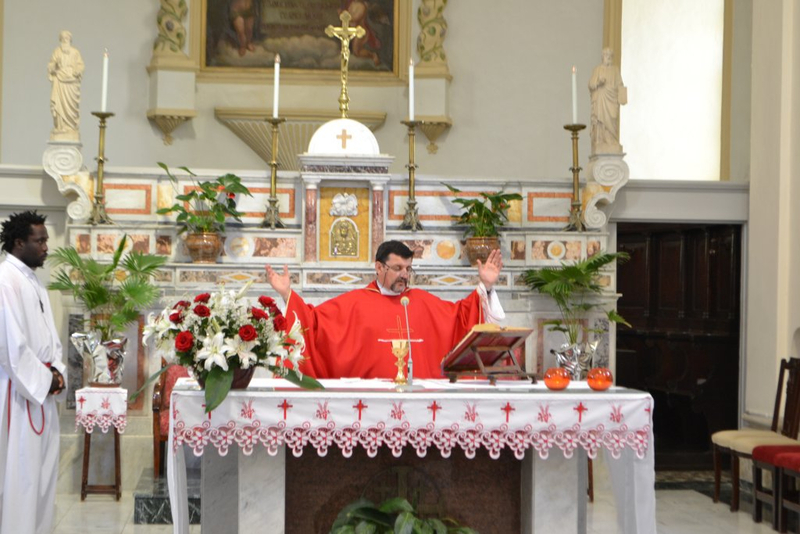 Mention is also due to “Our Lady of Graces” Franciscan church in Larnaca, where we spent some time for lunch in the shade of the front garden, under the huge rubber tree, and where, afterwards, we celebrated the Holy Mass with f. Carlos. 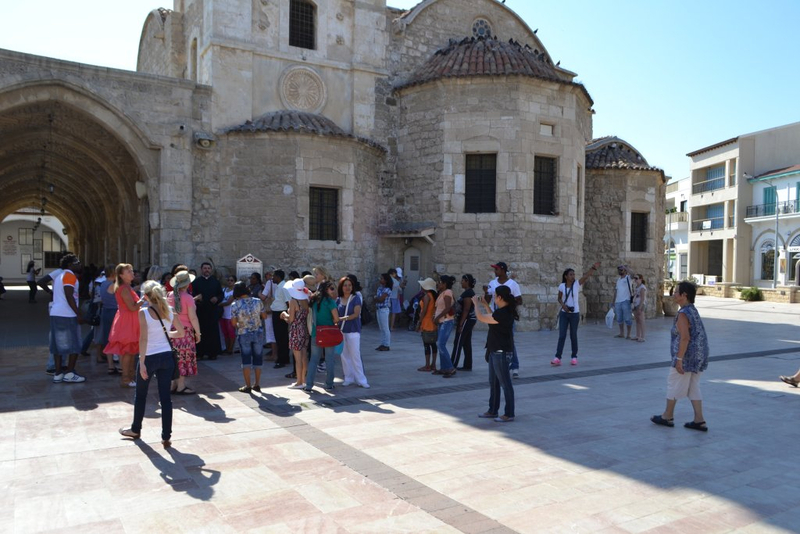 The Franciscans are present in Larnaca since the year 1593. The Church is the third in a series of three built on the same site. The foundation stone of the third church was blessed on Sunday 10th July 1842. After six years work the new Church was consecrated officially on the 8″ December 1848. 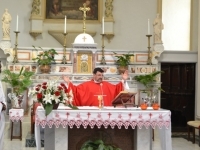 The architect of the church, the Franciscan Brother Serafino Da Roccascelima designed the church inspired by the ecclesiastical architectural art of southern Italy particularly that of the 17th and 18th centuries. Many thanks go to the organizers and all the enthusiastic participants who made that pilgrimage really memorable. Praise the Lord!